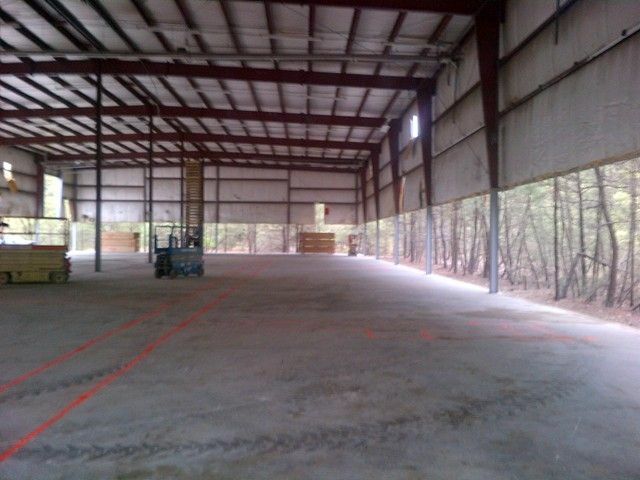 20,000 sf warehouse building, surrounded by acres of trees. 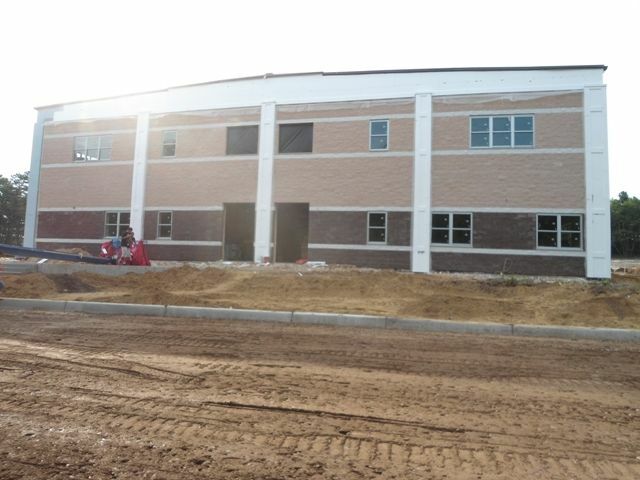 • 40,000 sf school building with sidewalk, curb, gutter and paving work. The previous tenants ddin’t vacate the building in time, so work at the site couldn’t begin until May, 2012. 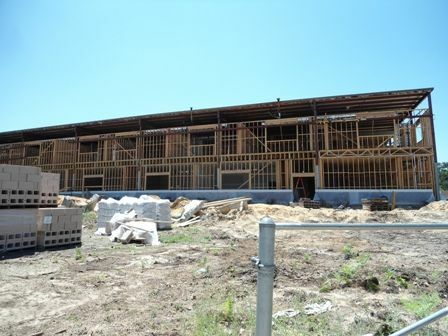 That left only 4 months for an enormous amount of work on the structure and the surrounding property. We needed to clear a small forest, draw new gas and electric lines, and install a massive septic system and new wells. 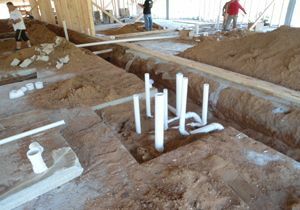 Then drainage and cement work could begin. Meanwhile, 2 crews of building movers used hydraulic lifts to raise the entire building by 10 feet, and a team of steel erectors shored up the structure. 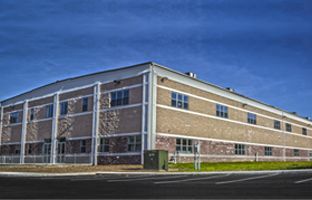 Water, HVAC (including 213 tons of AC), gas, electric, phone, alarm and bell systems were installed, as was a large commercial kitchen. 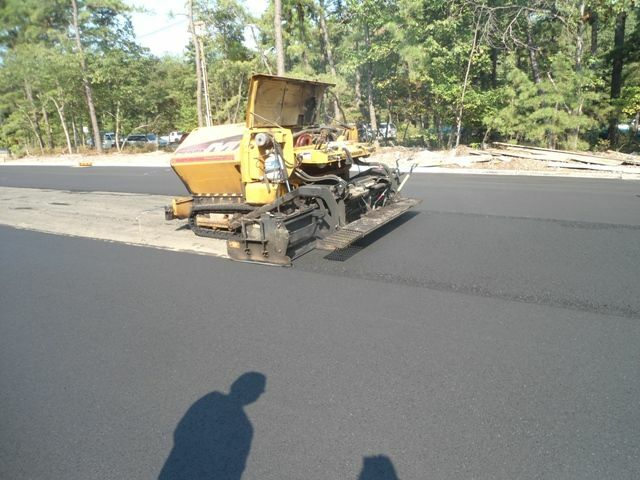 On Sep. 1 Regency’s team took pride in watching the school busses loaded with excited schoolchildren rolling onto the freshly paved lot. The transformation was complete. On time, on budget. Regency does an excellent job. We needed a job done in four and a half months that should really have taken a year or more. Regency is known for handling such jobs. They’re really unbelievable. We were very, very happy with them. The main thing I like about Regency is that they’re honest people. Do you have a project in mind? We look forward to hearing from you. Please drop us an email or call 732-730-7094.